« Nothing But Blue Skies From Now On! 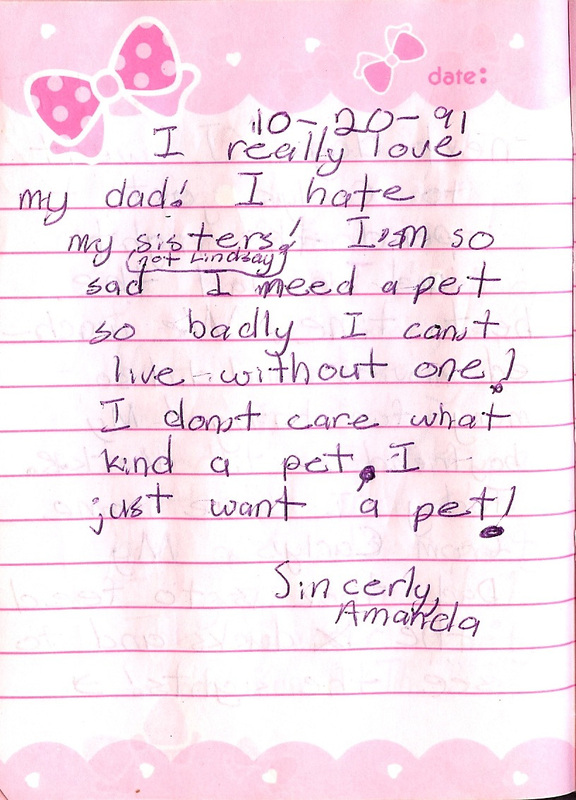 I was 9 years old, and I had been begging my parents for a dog for about as long as I had been able to talk. At that writing, my youngest sister was only 7 months old and, as I recall, I was little more than a handful myself. As an adult, I can now sympathize with my parents’ reluctance to add any more chaos to our brood, but at the time, I thought they were the WORST PARENTS EVER! Jackson, the star of Angela McAllister’s “Monster Pet,” is in the same boat. It seems the plight of the pet-deprived child is universal. “Get a worm out of the garden,” said Dad. “Why not bring home the class rabbit for the weekend?” suggested Mom. Jackson wants something big and wild and exciting! In an act of concession, Jackson’s parents, as did mine, bring home a hamster. An unimpressed Jackson names the rodent Monster. Unfortunately, the adorable little guy doesn’t live up to his name. Monster won’t fetch or climb trees with Jackson. He has no interest in learning how to roar and he won’t touch Jackson’s offerings of bones. 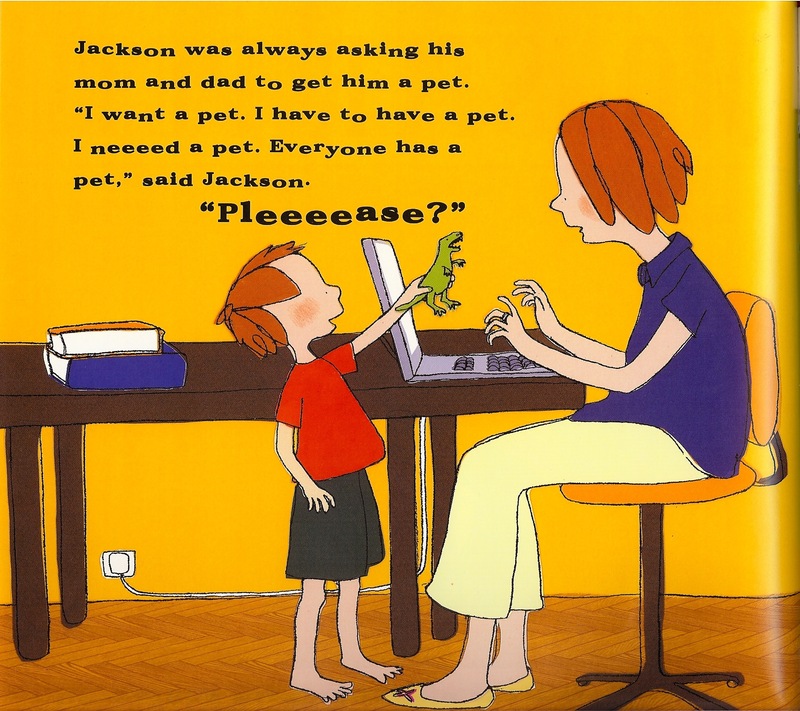 As children tend to do, Jackson loses interest in his pet, forgetting to feed Monster, refill his water or freshen his cage. Monster is left to fend for himself. He busts out of his cage, landing in a bag of hamster food, where he happily gorges himself, growing big and wild and exciting. But Monster has other ideas in mind. His mother’s call to breakfast wakes Jackson from his startling dream. With fresh perspective, he rushes to the shed, scoops up his hamster and extends a peace offering: a handful of food and a more appropriate name. The moral is simple: Pets have feelings, too. 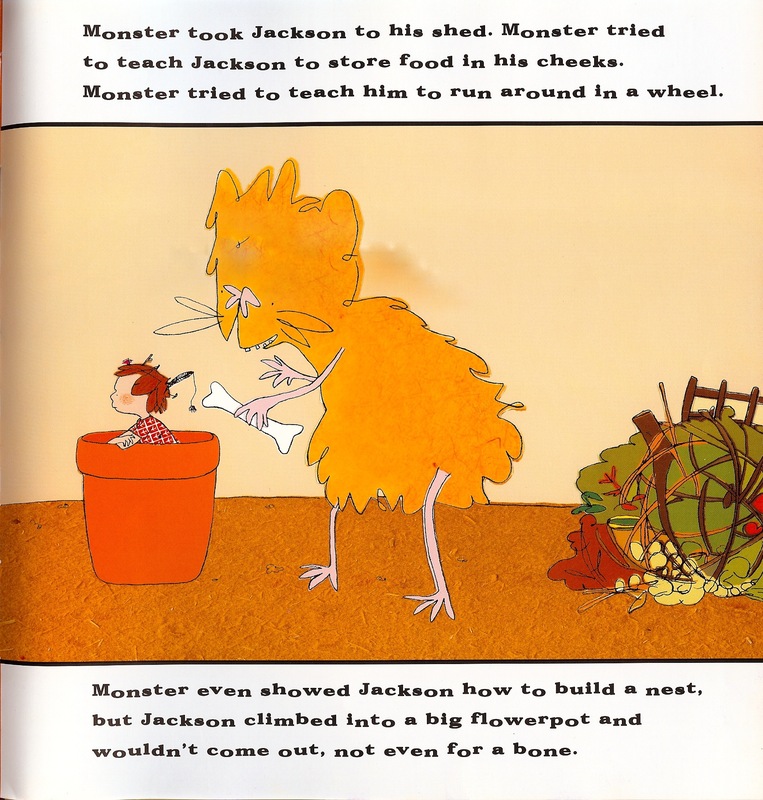 McAllister gets her message across by inviting readers to imagine themselves in Monster’s place, just where Jackson found himself in his dream. This point and other valuable lessons in pet ownership are often difficult to impress upon a child. The book serves as a good forewarning for a child begging for a pet as well as a gentle reminder for a child who may be neglecting the caretaking of a pet already in the home. Artistically, the illustrations are basic, but I do enjoy Charlotte Middleton’s use of saturated primary colors and unique collage elements. Handmade papers and burlap give texture to Monster’s coat, the bedding in the hamster cage and the feed bag. Middleton also uses graphic patterns to create Jackson’s playful airplane pajamas and his mother’s wild gardening pants. Actual photos of animals Jackson deems “wild and exciting” are scattered throughout the book. And I particularly enjoy Middleton’s creative use of shadows as a storytelling component. I imagine there are stacks of other pet-related books available in the children’s book market, but McAllister’s really hit the nail on the head with all too many parallels to my own childhood experiences. Jackson and I even chose the same name for our beloved furballs: Fluffy (I know, about as creative as a dog named Fido).